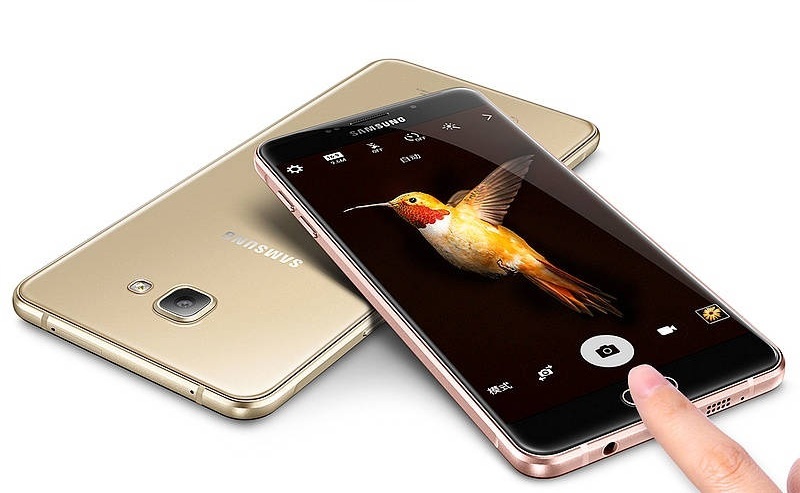 In this post we will discuss Samsung Galaxy A9 Specifications, Price in India, Features & News. The Samsung Galaxy A9 sports an Octa Core Snapdragon 652 CPU, 3 GB Ram, and 6 inch Full H.D A.M.O.L.E.D display. In terms of imaging, Samsung Galaxy A9 comes with a 13 MP Rear camera with OIS (Optical Image Stabilization) & an 8 MP Front camera both of which has f/1.9 aperture & supports 1080p video recording. Talking about the design, it has metal frame on the sides with glass panel on the back and towards the front similar to what you may have seen in Note 5. (Note The Galaxy A9 has 2.5 D Curved glass at the front (screen) which is not present in Note 5). 6 Inch Full H.D A.M.O.L.E.D Display with 2.5 D Curved Glass. (~367 p.p.i pixel density). 13 MP Rear (With OIS) & 8 MP Front camera. (Both with f/1.9 aperture). 32 GB internal storage which is expandable Up to 128 GB via Micro SD card. OS Android OS v 5.1 (Lollipop). Upgradable to Android OS v 6.0 (Marshmallow). CPU/GPU Octa Core (1.82 GHz Quad Core A-72 And 1.4 GHz Quad Core A-53). Qualcomm MSM 8976 Snapdragon 652 | GPU Adreno 510. DISPLAY 6 Inch Full H.D A.M.O.L.E.D Display With 2.5 D Curved Glass. Resolution 1080 x 1920 pixels (~367 p.p.i pixel density). CAMERA REAR 13 MP (f/1.9 aperture). Resolution 4128 x 3096. With Auto focus and LED flash. | Features: OIS (Optical Image Stabilization), Geo-tagging, touch focus, face/smile detection, panorama, H.D.R. | Video Features: 1080 p@ 30 fps. H.D.R recording | FRONT/SELFIE CAMERA 8 MP, 1080 p.
BATTERY Non Removable Li-Ion 4000 m.Ah. STORAGE 32 GB Internal. Expandable up to 128 GB via micro SD card. FEATURES Full H.D Display. | 4 G Support. | 3 GB Ram. | Octa Core CPU. | Fast battery charging. | Massive Battery. CONNECTIVITY Bluetooth v 4.1. | W.I-F.I 802.11 a/b/g/n, W.I-F.I Direct, Dual Band, Hot spot. | Dual SIM (optional) (G.S.M) Size Nano SIM. It is Listed at the Company’s China Website as Galaxy A9 (2016) So we can expect it to Launch in 2016 (Probably in January). We can expected it to price around 22,490-29,990 Rupees in India. It will be available in 3 color variants i.e. Pearl White, Midnight Black, Champagne Gold.